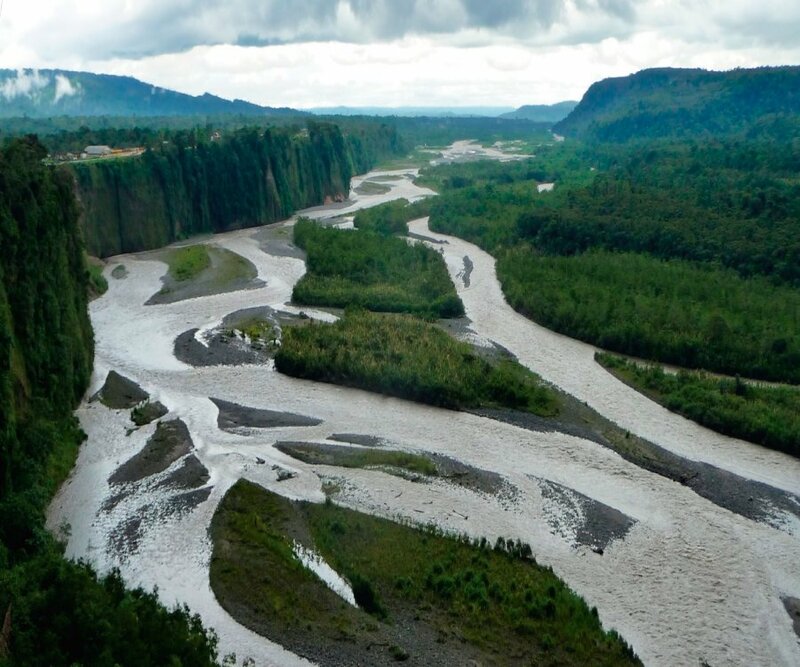 The Province of Pastaza is one of the 24 provinces that make up the Republic of Ecuador, located in the northeast of the country, in the geographical area known as the Amazon region. Its administrative capital is the city of Puyo, which is also its largest and most populated city. It occupies a territory of about 29,520 km ², being the largest province of the country by extension. It limits the north with Napo and Orellana, the west with Tungurahua, the south with Morona Santiago and the east with the department of Loreto pertaining to Peru. According to the last national census (2010), 83,933 people live in the territory of Pastazense, being the second least populated province in the country, behind the Galápagos. The Province of Pastaza is constituted by 4 cantons, with their respective urban and rural parishes. According to the latest territorial order, the province of Pastaza belongs to a region also included in the provinces of Chimborazo, Tungurahua and Cotopaxi, although it is not officially formed, called the Centro Region. It is one of the most important administrative, economic, financial and commercial centers of the Amazon. Its economy is based on trade, tourism, livestock and agriculture. The largest extractive industries in the province are made up of lumber and agriculture (fish farming, poultry farming, etc. ); The provision of services as civil servants, public servants, small industry and manufacturing remain important. The jungles of Pastazenses are home to 7 indigenous nationalities of the Amazonian Region of Ecuador: the Amazonian Quichua, the Andoas, the Záparas, the Huoranis, the Achuar, the Shiwiar and the Shuar. It had different migratory periods coming like the canelos. During the colonial period the maximum and precursor entity of the province would be the Government of Quíjos. After the independence war and the annexation of Ecuador to the Great Colombia, the Province of Chimborazo was created on June 25, 1824, in which within its limits was the present Pastezense territory, then would become part of the great Province of Oriente, later became part of Napo Pastaza Province. The 10 of November of 1959 the eighteenth province of the country, the Province of Pastaza is created. There are several tourist and ecological projects that develop their activities at the provincial level and they offer from wild animal farms, to centers of conservation of medicinal plants. One of the best ways to get to know the cultural variety of Pastaza is by visiting its friendly indigenous communities in the interior of the province, several local travel agencies offer very reasonable packages where intercultural coexistence through community tourism becomes a reality. In addition the city has museums, theme parks, ecological walks, hanging bridges, viewpoints, artificial wave pool and many private resorts that you will love. Tourism is a priority here. For those people and travelers looking for adventure tourism, you could hire a local travel agency, such as kayaking, rafting, canoeing, or even renting a small plane to do on jungle flights, sport fishing in Amazon rivers and much more. Puyo EcuadorThe tourist will find all the basic services of a prosperous city in Puyo, with hotels and hostels from 1 to 5 stars, national banks, health services, Internet access, restaurants and nightlife centers, etc. Puyo also stands out for being a clean and organized city with good police guard, this has turned it into one of the safest cities of all the Ecuador.